Get your point across in a memorable way through a rack card. 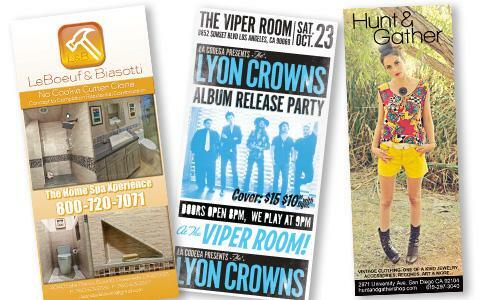 Rack cards are 3.5″ x 8.5″ or 4″ x 9″ cards that usually feature eye-catching design on one side and copy on the other. This affordable form of marketing has long been used in the hospitality industry to catch the attention of travelers looking for a great experience. While the rack card made its mark in the travel industry, it is also extremely useful in many other applications.